Is there a formula to this composition? What are the essential elements that might be distilled into a general guideline that informs IT educators and students when building and refining an IT Program of Study? Can an actionable plan and series of steps build something concrete that better prepares the IT student? Questions were developed for a team of IT professionals to extract a list of ingredients for IT educators and students to reflect upon as they start their next academic year. This report, Building an IT-Ready Washington: 2015 and Beyond, outlines the in-demand technical skills and knowledge, including employability skills, IT students should become familiar with. 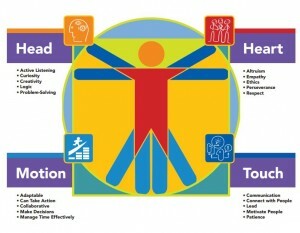 All of these skills, in some combination, are required qualifications for the majority of IT employers. The information, resources, and expansion on what these technical knowledge and skills are, and why they are important, increases the probability the IT student will be prepared to meet their future employer’s job requirements and responsibilities. This report also showcases and details a compilation of standards for IT students and educators that create clearer expectations of what an IT program should be offering in terms of curricular content. Essentially, these highly desirable attributes, as identified by a team of IT professionals, should have been absorbed into the student’s lexicon upon graduation. This report’s intention is to act as a resource guide which IT educators can use to transform their IT students into an IT ideal graduate and future worker. Throughout, IT educators can evaluate the information and consider alignment of the ideal IT student attributes in their classrooms, curriculum, project-, and work-based learning assignments. Often, IT employers bemoan the lack of innovation and critical thinking in an IT graduate. Why do you think that is? What could the student do to “grow” their own capacity to innovate and think critically? When you are training and/or mentoring a new IT employee, what three things do you spend the most time on with them to improve their performance? 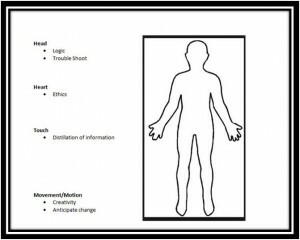 In this diagram we have the outline of the ideal IT graduate/job candidate (refer to handout). 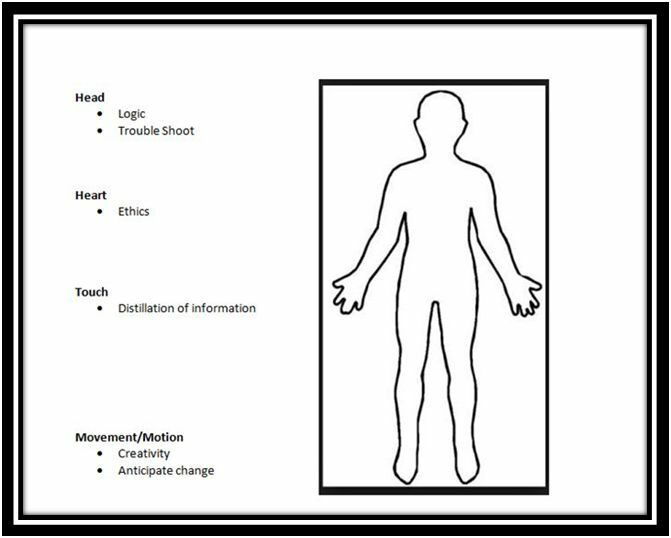 Attach adjectives, descriptors, specific things that quantify and define this “ideal” under the headings head, heart, touch, movement/motion (skills, knowledge, intangible and concrete qualities, personality traits, characteristic, etc. – a few examples have been given). Note: Please use this in the context of your IT expertise/specialization (i.e. web, programming, gaming, etc.). the advice and direction provided by the team of IT professionals. You can read Bryan Stevenson Talks about Challenges and Opportunities of Creating the Ideal IT Career Pathway in the sixth section of this report. The Ideal IT Student by Maureen A. Majury M.Ed.